If you’ve seen any photos from Mars rovers exploring the red planet you know that it’s basically a vast rocky landscape with very little going on, so you’d be forgiven if you think this newly released Mars photos showing a rough brown rock is just more of the same, but it isn’t. 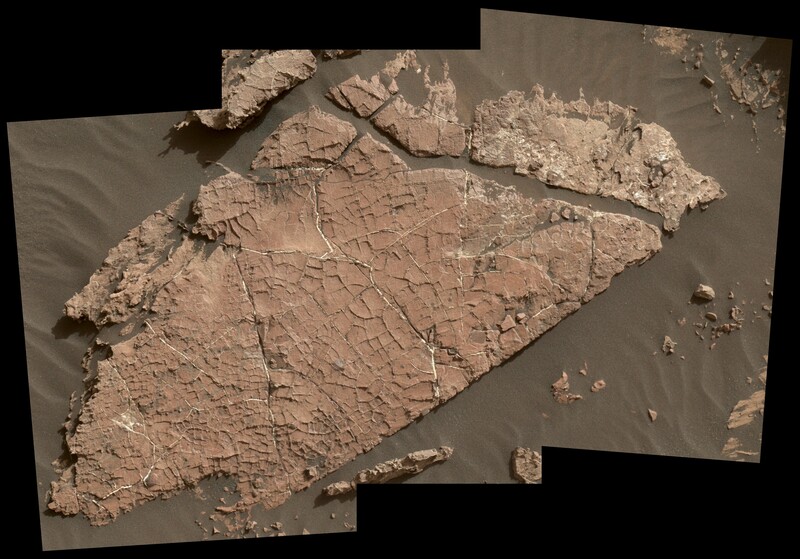 The image is getting scientists all worked up because it shows what appears to be the remnants of ancient mud, long since sucked dry of its moisture and turned to rock. They nicknamed the site “Old Soaker.” So why does mud matter? I’m so very glad you asked. In a groundbreaking discovery in 2015, NASA confirmed that water still flows on Mars today, albeit very rarely. Hard evidence that liquid water also flowed on the planet billions of years ago is tantalizing, and since researchers already believe that the bodies of water on Mars could have at one point supported some form of life, it makes the continued search for evidence of that life even more interesting.